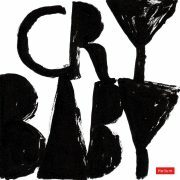 Named after the truly seminal soul song by Garnett Mimms and the Enchanters (later famously covered by Janis Joplin), Crybaby is the alias of Bristol singer/songwriter Danny Coughlan. The ten songs which make up his self-titled debut album are beautifully crafted and imbued with a sparse, timeless clarity. Like the early rock ‘n’ roll, R ‘n’ B and soul records that provided influence, their simplicity is their essence; immediately engaging with melodies that settle quickly in the mind. Neither a note nor a word is wasted. What Am I Supposed To Do Without You Now?